It has been a while since I posted here....I was off having a baby five weeks early and I am sure you all know how time consuming a baby can be....lol. 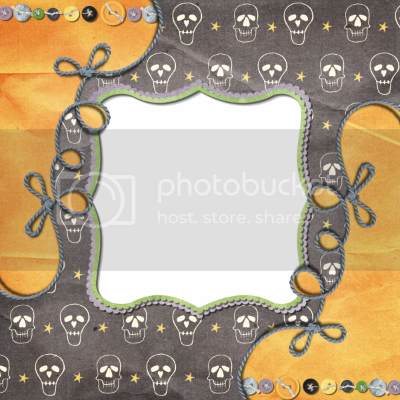 I recently had the pleasure of working with one of Pamela's newest kist Boo To You Too, an absolutely adorable Halloween kit. This kit is not in the traditional bold colors of Halloween which is one reason I love it SO MUCH. You can pick up the kit for only FIVE bucks over at the Polkadot Potato. I know.....a total STEAL. Anyhoo - I hope you enjoy the QP and be sure to leave a comment...Pamela LOVES to hear feedback from her fans - it helps to inspire her to keep on creating these fab kits for us! New from Pamela Gibson Designs!! A fun new fall kit full of fun autumn colours and fall items! Available in both full kit and paper pack forms! And Also Boo to You Too!